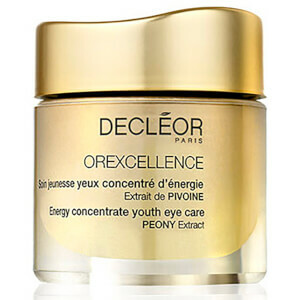 Reignite a luminous glow with the Aromessence Serum and Youth Cream Duo from DECLÉOR. 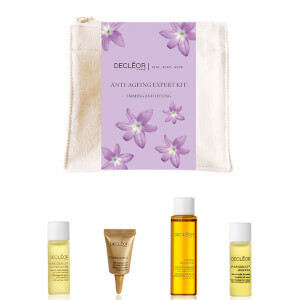 Combining a naturally-derived elixir and an anti-ageing cream, the skincare kit helps to firm, smooth and nourish for a radiant, youthful-looking visage. A fast-absorbing, anti-ageing concentrate that works to reignite a radiant glow. Harnessing the nourishing powers of Magnolia and Geranium Essential Oils, the luxurious treatment moisturises and tones, whilst botanical oils of Hazelnut and Jojoba infuse the skin with intense nourishment. Rose defends against environmental aggressors to reveal a fresh, dewy complexion with restored luminosity and a firmer appearance. An ultra-nourishing, anti-ageing formula developed to boost lack-lustre skin. Harnessing the powers of Peony, Lychee and Rhodiola Extracts, the fast-absorbing cream delivers a firming and plumping effect, whilst Magnolia and Ginger Essential Oils infuse a luxurious fragrance to rejuvenate the skin and senses. Expect a smoother, more refined facial contour and fresh, dewy complexion with renewed radiance. Serum: 3 Tropfen in die Handflächen geben. Durch Aneinanderreiben anwärmen und auf das Gesicht auftragen, dabei zwischen sanfter Massage und festem Druck wechseln. Augenpartie aussparen. Creme: Auf das gereinigte Gesicht und den Hals auftragen. Morgens und/oder abends anwenden. Serum: Corylus Avellana Seed Oil/Hazelnut Seed Oil, Simmondsia Chinensis Seed Oil/Jojoba Seed Oil, Cocos Nucifera Oil/Coconut Oil, Linalool, Michelia Alba Leaf Oil, Cymbopogon Martini Oil, Pelargonium Graveolens Flower Oil, Citrus Limon Peel Oil/Lemon Peel Oil, Limonene, Cananga Odorata Flower Oil, Tocopherol, Citronellol, Jasminum Officinale Oil/Jasmine Oil, Geraniol, Zingiber Officinale Root Oil/Ginger Root Oil, Fusanus Spicatus Wood Oil, Benzyl Benzoate, Gardenia Tahitensis Flower Extract, Benzyl Alcohol, Citral, Farnesol, Rosa Damascena Flower Oil, Helianthus Annuus Seed Oil/Sunflower Seed Oil, Mentha Piperita Oil/Peppermint Oil, Benzyl Salicylate, Eugenol. Cream: Aqua/Water, Butylene Glycol, Cetearyl Alcohol, Glycerin, Dimethicone, Mangifera Indica Seed Butter/Mango Seed Butter, Simmondsia Chinensis Seed Oil/Jojoba Seed Oil, Hydrogenated Coco-Glycerides, Persea Gratissima Oil/Avocado Oil, Cocos Nucifera Oil/Coconut Oil, Peg-100 Stearate, Glyceryl Stearate, Cetyl Alcohol, Cetearyl Glucoside, Phenoxyethanol, Caprylyl Glycol, Carbomer, Ammonium Polyacryloyldimethyl Taurate, Capryloyl Salicylic Acid, Linalool, Tocopherol, Glycine Soja Oil/Soybean Oil, Triethanolamine, Michelia Alba Leaf Oil, Sodium Hyaluronate, Paeonia Albiflora Root Extract, Disodium Edta, Gardenia Tahitensis Flower Extract, Adenosine, Stearyl Alcohol, Myristyl Alcohol, Ziniber Officinale Root Oil/ Ginger Root Oil, Limonene, Litchi Chinensis Pericarp Extract, Rhodiola Crenulata Root Extract, Alpha-Isomethyl Ionone, T-Butyl Alcohol, Ethylhexylglycerin, Benzyl Alcohol, Citral, Benzyl Benzoate, Parfum/Fragrance.